The Salamanca Parador is on a hill on the left bank of the river Tormes opposite the old centre of the city. Its large windows make it an exceptional lookout point over the city, a living museum dominated by the cathedral towers. .
Panoramic views are available from all of the living rooms, the swimming pool and from a majority of the bedrooms. The Parador restaurant specialises in the local food and methods of cooking. There are some international dishes on the menu and a special menu for those on a gluten free diet. look at the facade of the University, the new cathedral where one of the oldest colleges is located and the picturesque ”Casa de las Conchas” (house of shells). There are three main festivals in Salamanca: the ”Lunes de Aguas” (the first Monday after Easter); San Juan de Sahagun (June 12); and Virgen de la Vega (September 8). Take a walk through the mountains of Bejar and to the Rock of Francia. Other activities to partake in are golf, horse riding, exhibitions of bullfighting, bungee-jumping, hunting and fishing. At the Parador you can swim or enjoy a game of tennis. 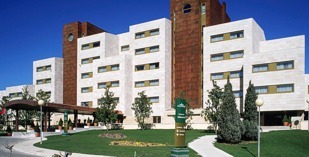 The Parador Salamanca also has sauna, Turkish bath and gymnasium. The Parador of Salamanca has sixty six twin bedded rooms, thirty seven double bedrooms, two junior suites, three easy access rooms and five rooms with lounge. In the rooms there is a telephone, internet access, television, TV canal plus, safe and mini bar. In the hotel there is wireless internet, heating, air conditioning, a gift shop, restaurant, bar, conference facilities and car park (limited/no security). Distance from the nearest airport is approximately 14 kms and the nearest train station is 2 kms away. We stayed for 9 days in September 2015 and enjoyed the experience. The room was excellent and well serviced. As ever it was the staff that made the stay worthwhile. 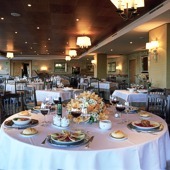 The hotel is comfortable and well appointed and the food, especially the breakfasts excellent. 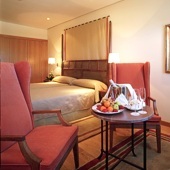 We now live in the city but will use Paradores whenever we travel in Spain. Room had lovely view of city but was bit grubby for a Parador. Carpet needed cleaning as did the armchair which was really dirty. Shame as food was fabulous as was pool, closeness to Salamanca with easy parking and staff. Parador hotel of Salamanca hotel looks across the river at the old town of Salamanca.